Overview & specs of Eddingtons Aerolatte Milk Frother with Stand by Currys PC World. Quickly create frothy milk using the handy Eddingtons Aerolatte Milk Frother with Stand.Make the perfect frothy milk for cappuccinos, cafe latte, milkshakes and hot chocolates with this handheld Milk Frother. Featuring a durable shaft and long-lasting motor it's fast and simple to make frothy milk at home, or take it with you when you travel.Stylish in white, with the Eddingtons Aerolatte Milk Frother with Stand you'll be able to enjoy steam-free frothy milk. 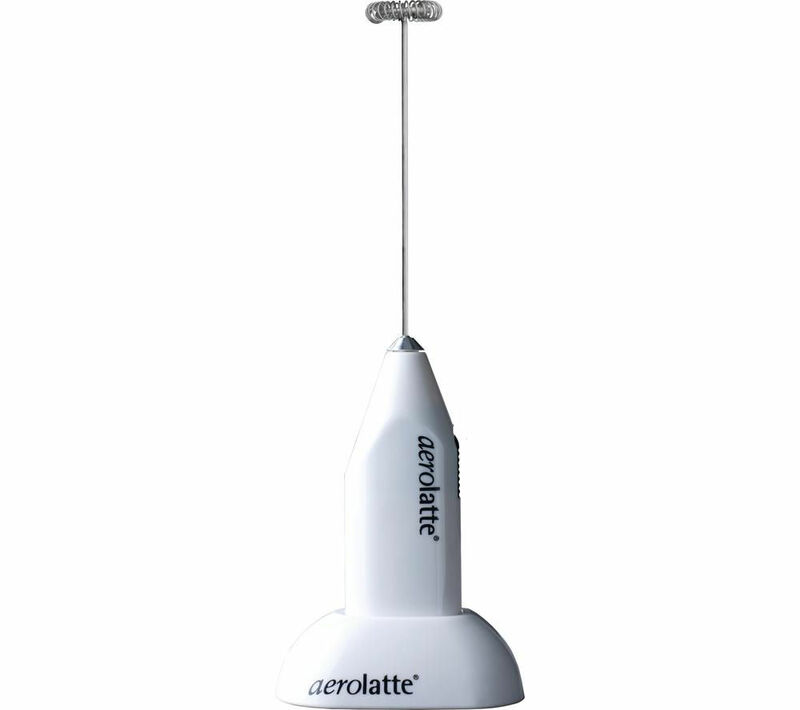 We are comparing prices for Eddingtons Aerolatte Milk Frother with Stand in new condition sold by Currys Pc World.